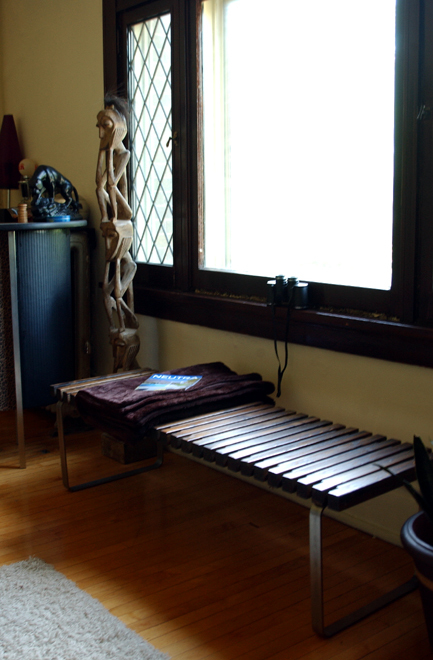 In 1955 it was described that the bench is “one of the most flexible and useful furniture pieces in the home.” This statement still holds true today. 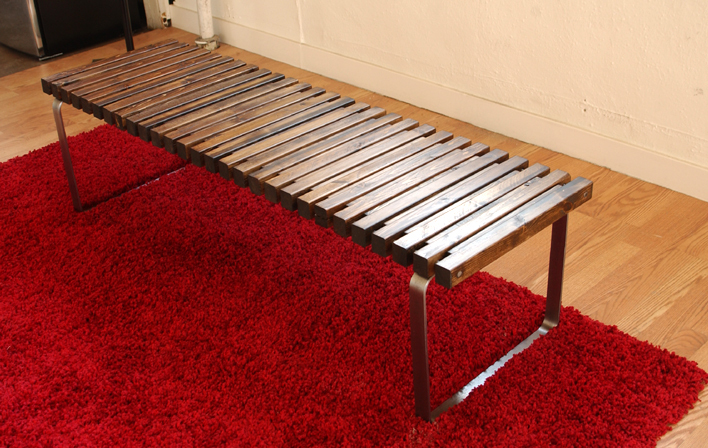 This is our interpretation of the classic Slat bench. Popularized in the 50′s it is a timeless piece that is as functional as it is beautiful. Versatile, attractive and strong. 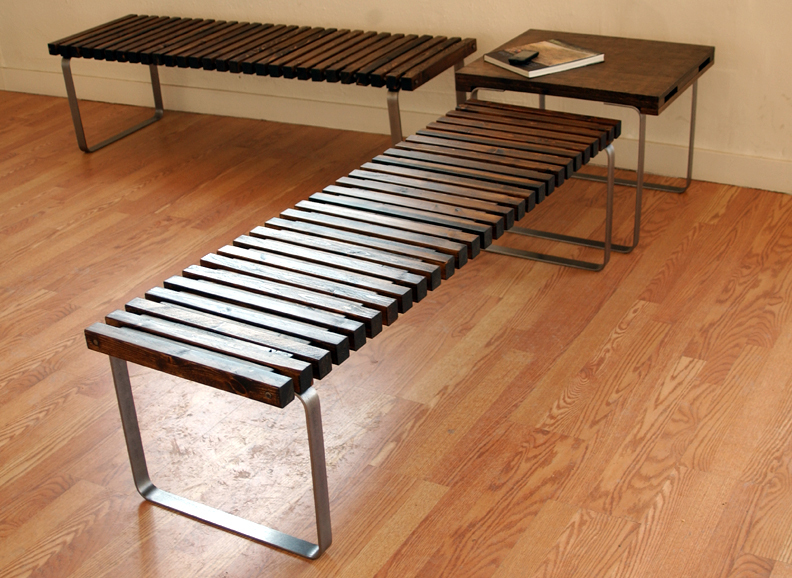 Common uses include seating, coffee table, or as a platform for displaying things such as plants, art work, stereos, etc. 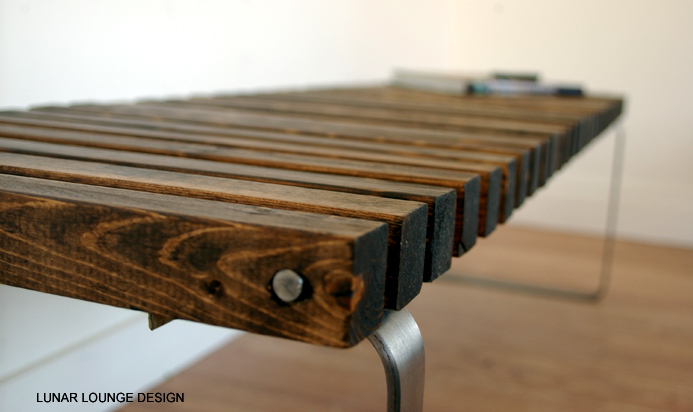 This striking piece of furniture is ideal for your home, office or hospitality environments. Anywhere functionality, versatility and style are demanded. Constructed from 1.5” x 1.5” and 1.5” x 1”, spruce hardwood. 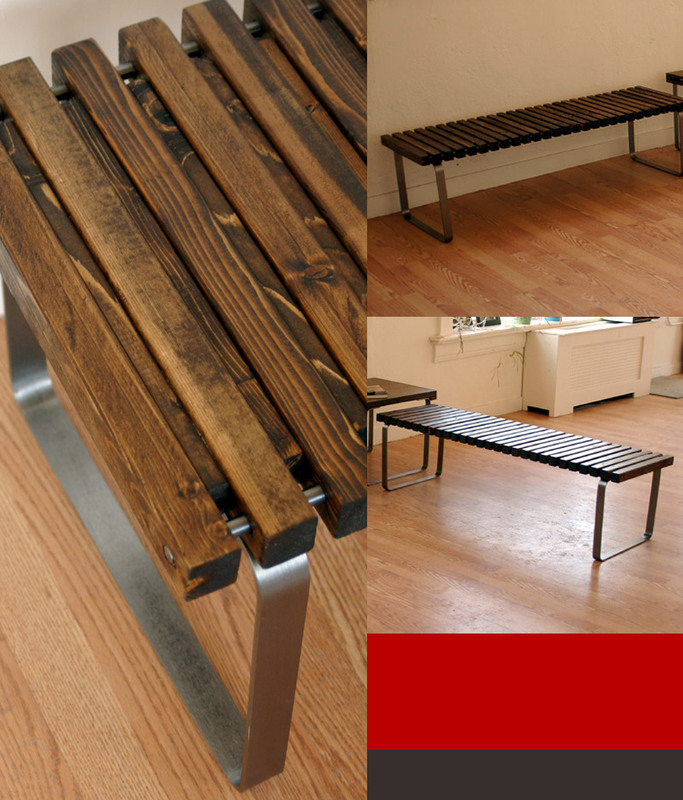 We have the slats running the width of the bench in interchanging heights giving a visual detail that has not been seen before. 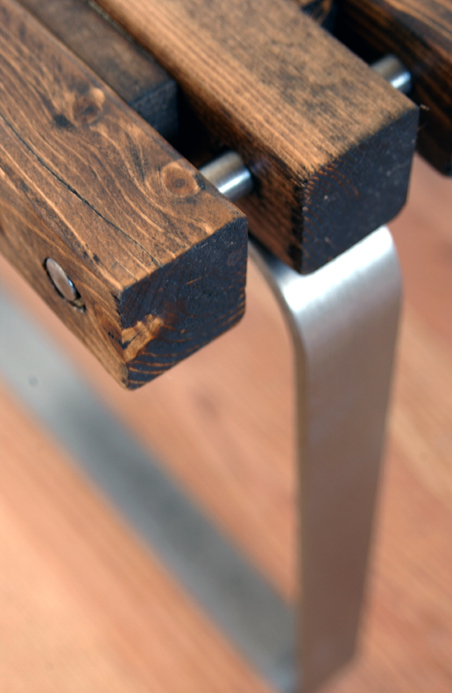 Down the entire length of bench are 2 pieces of .5” brushed aluminum rod that add further detail and strength to the design. 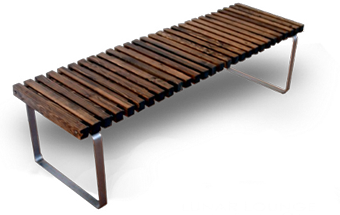 This element ties in the brushed aluminum legs that support this handsome piece providing functional minimalism and conveying visible purpose.The two brushed aluminum legs are an aesthetic contrasted to the solid spruce wood slats. The ‘simple’ design is elegant and practical. Shown in Dark walnut stain with satin finish. 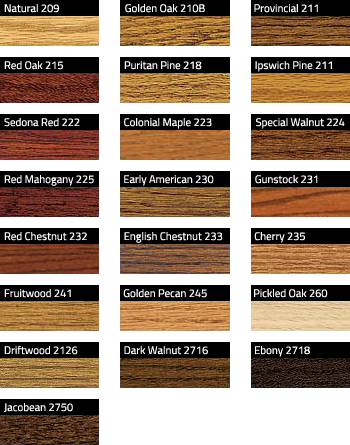 Please refer to our color options and be certain to indicate which stain you would like us to finish your bench in. The SPB5 in the bench in a 5 foot length but other lengths can be ordered upon request, please contact us directly for pricing.